upUPUP is a sports app for all the sports enthusiast to find and book sports venues of their choice at their convenience. 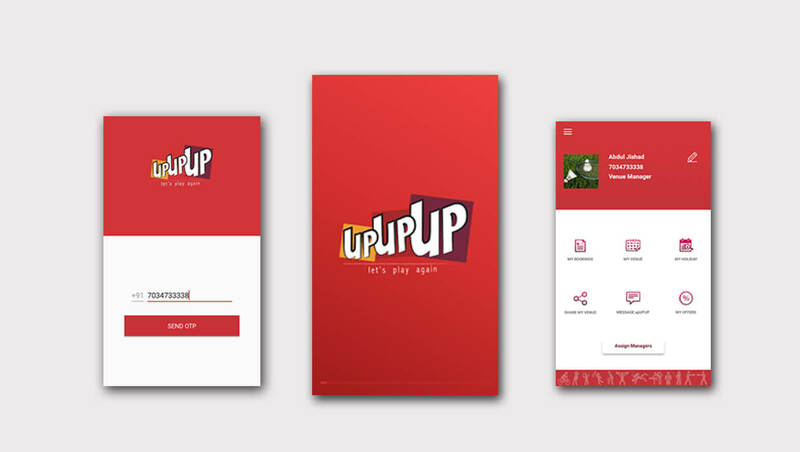 We didn't want to stop our services there, like our happy app users we also aimed at making our partners happy by making their business stress free, this is where "upUPUP Partners" come in. Managing a sports venue and handling its operations is more than a handful, this is where upUPUP Partner comes in helping venue owners to manage their venue, an instant mobile app to control your venue operations smoothly. We also aim at resolving conflicts faced by the venue owners by helping him to sell his unsold slots.